The Southern Arkansas University Alumni Association, Inc., will honor 10 outstanding SAU alumni during the organization’s annual Distinguished Alumni Awards Dinner on Thursday, May 2, 2019. Award recipients will be honored in four categories, according to SAU Director of Alumni Relations Megan McCurdy. The Lifetime Achievement Award will be presented to Edgar O. Lee and Dr. Tom Brian and Mrs. Sharon L. Brian; Dr. Daniel G. Kyle and Dr. Robert W. Henderson will be recognized as Distinguished Golden Muleriders; Debbie Arnold, Dr. J. David Ashby, and Roderic Duckworth will receive the Distinguished Alumni Award; Julie Barber and Dennis Joseph will be honored as Distinguished Young Alumni. Tickets may be purchased online at www.saualumni.com/alumnidinner or by calling the Alumni Office at (870) 235-4079. Tickets may be individually purchased for $20, or a table with eight seats may be purchased for $160. Edgar O. Lee, former SAU Board of Trustees Chair, was appointed for his first term in 2009. He is an alumnus of SAU and a team leader at Raytheon Missile Corporation. He was born in Magnolia and graduated from Waldo High School. He was an all-state basketball player for three years at Waldo and played for Coach Monroe Ingram during his athletic career at SAU. He earned his Bachelor of Business Administration degree from SAU in 1984. Lee shares his insights on organizational diversity as he serves on the SAU Diversity Initiative Task Force. He served three years in the United States Army before being employed by Brown and Williamson, where he was awarded territory sales manager of the year. He was responsible for the southwest Arkansas territory for 10 years before starting at Raytheon. Lee is also the vice chairman of the Ouachita County Hospital Board of Directors. He is married to Gloretta Lee ’93, and they are the proud parents of two sons, Ethan and Evyn. Lee is an alderman for the city of Chidester, and he and his family attend Pleasant Hill Missionary Baptist Church. Dr. Tom Brian attended SAU until 1969, and Sharon until 1968, when she graduated with a Bachelor of Science degree in Mathematics. After graduating from SAU, Sharon was employed at Texas Instruments as a programmer/analyst. After Tom completed dental school, he began his practice in Allen, Texas. Sharon left Texas Instruments after 18 years to help in Tom’s dental practice mission. Dr. Brian first went to Honduras in June 1991, when he volunteered to do dental work with a member of his church. In 1999 he founded Send Hope, a non-profit organization dedicated to helping the people of La Mosquitia, Honduras. In 2005, the House of Hope, a children’s home, was opened to provide care and education for partially handicapped, abandoned, abused and orphaned children. The School of Hope, a volunteer house, and a dental clinic have since been built. He retired from his dental practice in 2011 and now spends his time between his home in Allen and the House of Hope in Honduras. Sharon has her state-side ministry, “Kids Against Hunger,” which is a food packaging event that supports feeding the malnourished at the House of Hope, as well as hungry children in the USA and throughout other parts of the world. Dr. Brian has received many awards and accolades over his professional career, including: 1994 Workman Ministries International – for service in Mexico; 1995 Fourth District Dental Society for Humanitarian work; 1995 Woodrow B. Seals Laity Award from the Perkins School of Theology of Southern Methodist University; 1996 Spirit of Allen Award with Sharon from Allen Chamber of Commerce; 1998 Norma I Love Foundation (Service to People of La Mosquitia, Honduras recognition); recognition by the American Dental Association on International Relations for meritorious service to the people of Guatemala, Honduras, Mexico and Peru; honors from the Honduras Red Cross, Honduras Military and the people of La Mosquitia, Honduras; and the 2013 North Texas Conference of the United Methodist Church, laity recipient of the Harry Denman Evangelism Award. Robert W. Henderson, MD, attended SAU until 1968. He was one of the “spectacular seven” who transferred from SAU to the University of Arkansas for Medical Sciences (UAMS) and entered medical school the same year. 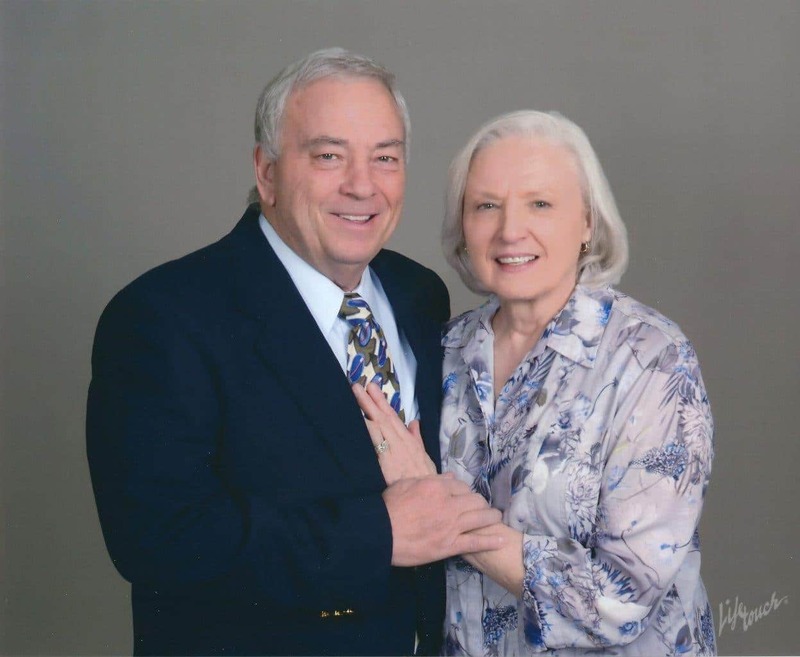 After graduating from UAMS in 1972, he moved to Dallas for post-graduate training. He began private practice in 1973 and was in practice for 38 years before retiring from Uptown Physicians Group in 2011. This group has grown into a large practice with five physicians and four nurse practitioners/physician assistants. He is a collector of modern arts and enjoys traveling. He served on the HOA Board of the Turtle Creek Residential Building, which just launched a $1.7 million renovation of the building. Daniel G. Kyle, PhD, is a businessman from Baton Rouge who served as the Louisiana Legislative Auditor from 1989–2003. He graduated from SAU in 1959 with a Bachelor of Science degree. He went on to pursue a Master of Business Administration (MBA) degree from the University of Arkansas in 1961 and earned his PhD in Business Administration in 1968. 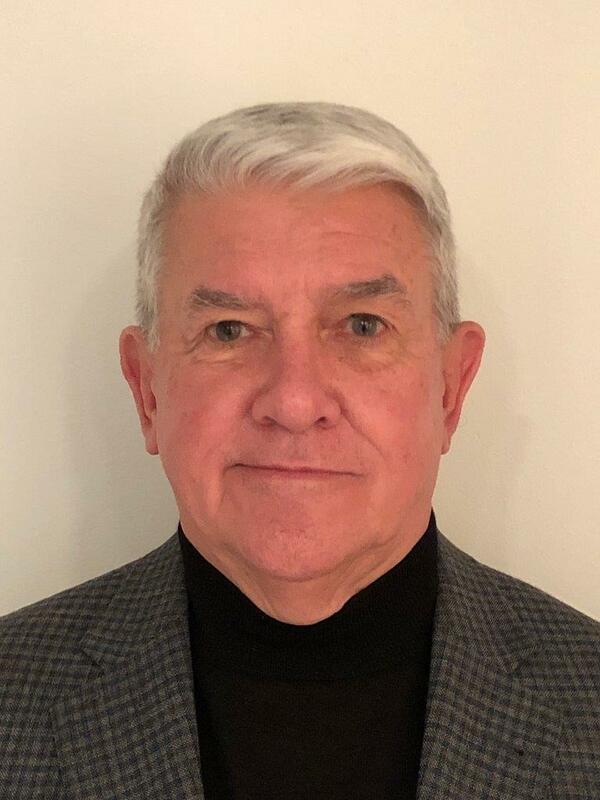 Dr. Kyle pioneered joint audits and investigations between the Louisiana Legislative Auditor’s Office and federal agencies, including the Department of Labor, the Department of Health and Human Services, the Federal Bureau of Investigation and the Department of Justice. He structurally reorganized the Legislative Auditor’s Office to facilitate more efficient and effective operations and developed a strategic plan to facilitate long-range planning and coordination of efforts. He improved communications and enhanced professionalism and credibility of the Office by emphasizing certification at all staff levels. He also worked to replace the outdated computer system with an integrated statewide network. Dr. Kyle also served as an Associate Professor at Louisiana State University from 1968-1989, teaching governmental accounting and auditing. Dr. Kyle served on the U.S. General Accounting Office’s Government Auditing Standards Advisory Council, the Louisiana Cash Management Review Board, and the Louisiana Law Enforcement Officers and Fireman’s Survivor Benefit Review Board. 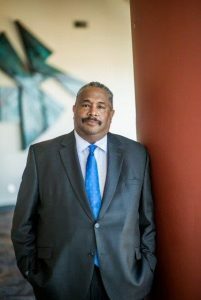 He received the 1996 Frank Greathouse Distinguished Leadership Award from the Governmental Finance Officers Association; the 1996 Special Recognition Award from the Louisiana Society of CPAs; the 1993 Communication and Leadership Award by Toastmasters International; and the 1991 Special Recognition Award by the Louisiana Society of CPAs. 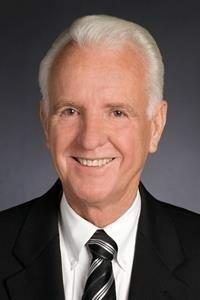 He served on the National State Auditors Association, the National Association of State Auditors (Comptrollers and Treasurers), and the Southwest Intergovernmental Audit Forum. 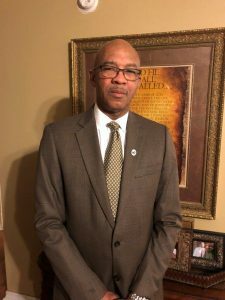 He currently serves on the Association of Government Accountants, American Institute of Certified Public Accountants, and the Louisiana Society of Certified Public Accountants. Dr. Kyle was born in Norphlet, Arkansas. He and his wife, Connie, have two sons and two grandchildren. Debbie Arnold received her Bachelor of Business Administration degree in General Business and Finance from SAU in 1985. With more than 32 years of banking experience, she joined the Peoples Bank team in 2015 and serves as the senior vice president of marketing. She graduated from the American Bankers Association School of Bank Marketing and Management at the University of Colorado, where she served her class as the vice president. 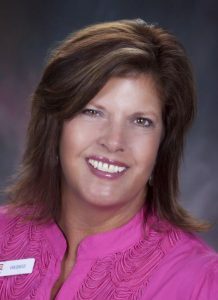 She has also earned the American Bankers Association’s Certified Financial Marketing Professional (CFMP) accreditation. She currently serves on the SAU Foundation Board of Governors, where she is a former president and current secretary. She served as the former president of the SAU Alumni Association Board and has also been active as a member of Leadership Magnolia, South Arkansas Women’s Network, Arkansas Chapter of the Bank Marketing Association, SAU Mulerider Club Advisory Board, Magnolia Junior Charity League, Magnolia Blossom Festival and Magnolia Chamber of Commerce. She was also the recipient of the Leadership Magnolia Distinguished Alumni Award for community service. She attends First Presbyterian Church where she serves as a deacon, elder and trustee. In her leisure time, Arnold likes to raise and show American Quarter Horses. She is treasurer of the South Arkansas Horse Association and serves on the Board of the Arkansas Quarter Horse Association. Dr. J. David Ashby graduated from Southern Arkansas University in 1977 with a Bachelor of Business Administration degree in Accounting. He completed his Master of Business Administration degree at Ole Miss in 1978. For years, Dr. Ashby worked as an accountant and taught accounting classes as an adjunct professor for night classes at the University of Ozarks in Fort Smith. In 1996, he earned his doctorate in finance from Louisiana Tech University. One year later he became a Certified Financial Planner™ professional (CFP®) and launched the first financial planning curriculum in Arkansas at Southern Arkansas University in Magnolia. During his time at SAU, he was honored as the Peoples Bank Professor of Finance Endowment, SAU Faculty Excellence Award for Research, and the 2012 Honor Professor designation by his peers. In 2002, he collaborated with Darla Williams, a former student, and opened Mustard Seed Wealth Management. Dr. Ashby balanced his teaching career and wealth management career for years, but after 23 years at SAU, Dr. Ashby retired from teaching in 2015 and is focusing solely on Mustard Seed. Dr. Ashby is a current member of the Rankin College of Business Advisory Council. He has previously served on numerous committees of the Certified Financial Planner Board of Standards in Washington. He has published papers in several professional journals. He and his wife, Judy, have five children and 14 grandchildren. Rod Duckworth is currently the Chancellor of Career and Adult Education within Florida’s Department of Education. Chancellor Duckworth has extensive state and national experience in career and technical education (CTE). 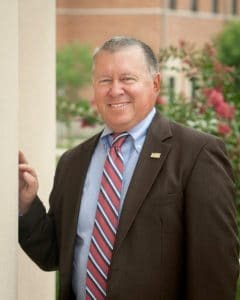 His experience also assisted him in serving two terms as the president of Advance CTE (the National Association of State Directors of Career Technical Education). Immediately upon graduation from SAU in 1987, he began his career as an agriculture instructor and FFA advisor in Hope, Arkansas. Following his time as an instructor, he moved to the National FFA Organization in Alexandria, Virginia. Later, he served as the state program director for agriculture education and was promoted to the position of state director of CTE in Washington State. Prior to moving to Florida in 2012, he was interim deputy director and associate director for CTE within Arkansas’ Department of Career Education. He currently lives in Tallahassee, Florida, and is married to Dr. Cyneetha Strong, M.D. Julie Barber received her Master of Education in Special Education from SAU in 2009. 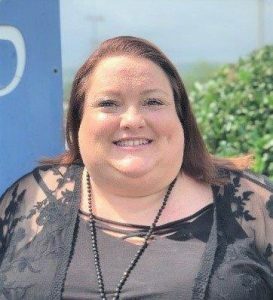 She was the 2017 Arkansas Outstanding Early Childhood Professional of the Year, which was sponsored by the Department of Human Services and the Division of Child Care and Early Childhood Education. She was nominated for the award by a former parent of a child who attended the school where she worked, Helping Hand. This school, located in North Little Rock, was a preschool that serves developmentally delayed or special needs children from birth to the age of five. On January 1, 2019, Helping Hand became Pediatrics Plus. She is currently serving as an ambassador for early childhood education and is serving on an expert panel, for which she was hand-picked to serve by the National Association for the Education of Young Children (NAEYC). She is a blogger for the Arkansas Better Beginnings webpage. She was recently promoted to curriculum coordinator at her school. She is one of only ten certified autism specialists in the state of Arkansas. Barber serves as the financial advisor for the Gamma Zeta chapter of Alpha Sigma Alpha. With more than 15 years of experience in healthcare, Dennis Joseph’s career has ranged from optimizing existing solutions to creating new solutions and creating disruptive clinical technologies globally. 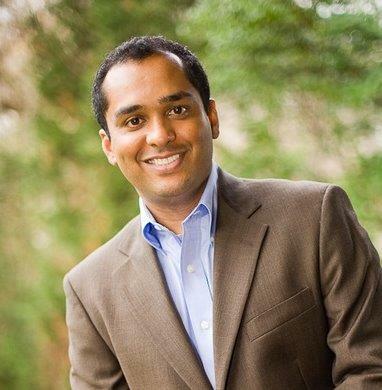 Joseph is the associate director of global strategic marketing for Halyard Health (formerly Kimberly-Clark, and now part of Owens and Minor). He leads a team that oversees global strategy and marketing for a portfolio of businesses worth more than $550 million. He started his career at Cardinal Health (a Fortune 500 company) in the field of pharmaceutical distribution. He then went on to work for a start-up in the field of oncology and rheumatology focused on solutions to optimize patient care. In 2013 he joined one of the largest names in consumer and healthcare products, Kimberly-Clark Corporation. He has taken multiple innovations from concept to FDA approval and has launched multiple products globally. In the pursuit of launching clinical innovations, Joseph’s team oversees partnerships with Georgia Tech, the U.S. government’s Biomedical Advanced Research & Development Authority, multiple hospital systems and other esteemed institutions. Joseph has a Bachelor of Business Administration with a major in Information Systems and a minor in Mathematics from SAU. He also earned a Master of Business Administration from The Ohio State University. He has numerous recognitions in the space of marketing and innovation, including patent disclosures. Joseph, who is originally from India, now lives with his wife, Anna Maria, and two kids, Maia and Noah, in Atlanta, Georgia.